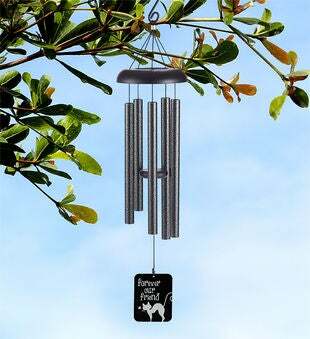 Pay tribute to your furry friend with this beautiful 30" pewter memorial wind chime. A perfect addition to the garden, this wind chime will play a sweet tune when the wind blows to remind you of your wonderful pet. Personalize the sail with your cat's name for a lasting memorial.